 We created this glorious set of Majestic Tribes playing cards, which just begs to be held in the hands of any tribe of friends. 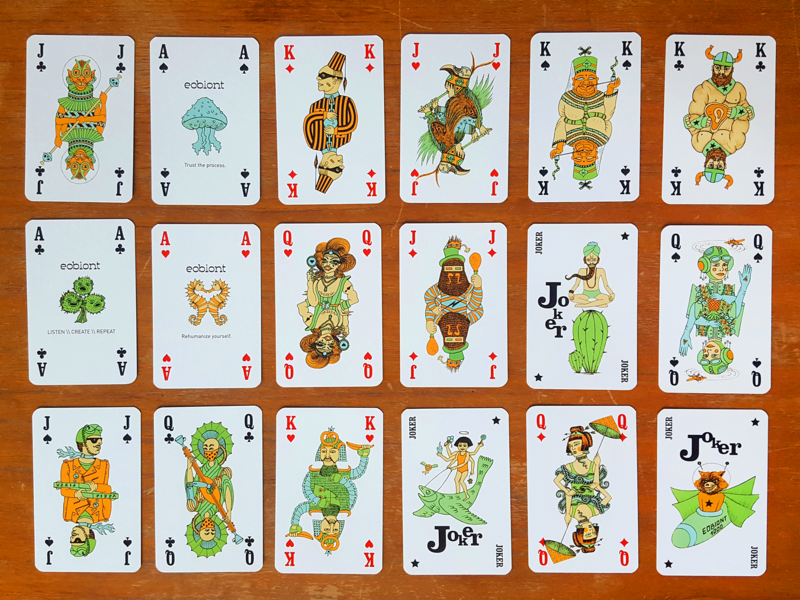 With a double deck of 52 cards each (plus 3 jokers), you can play anything from poker to bridge. We’d like to recommend a fun game that even non-players will get addicted to, a game that is relatively easy to learn and remains challenging for young and old alike. 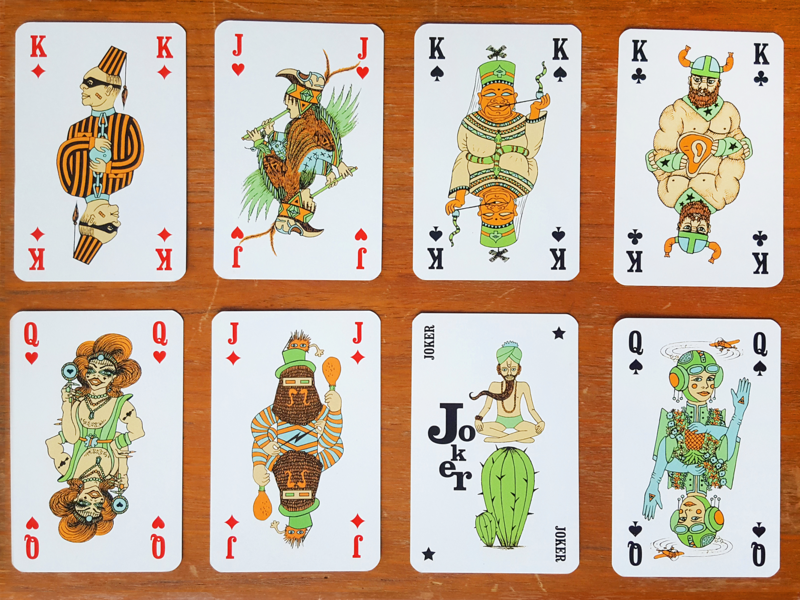 This visually intriguing set of limited edition playing cards was lovingly crafted by Eobiont and me. 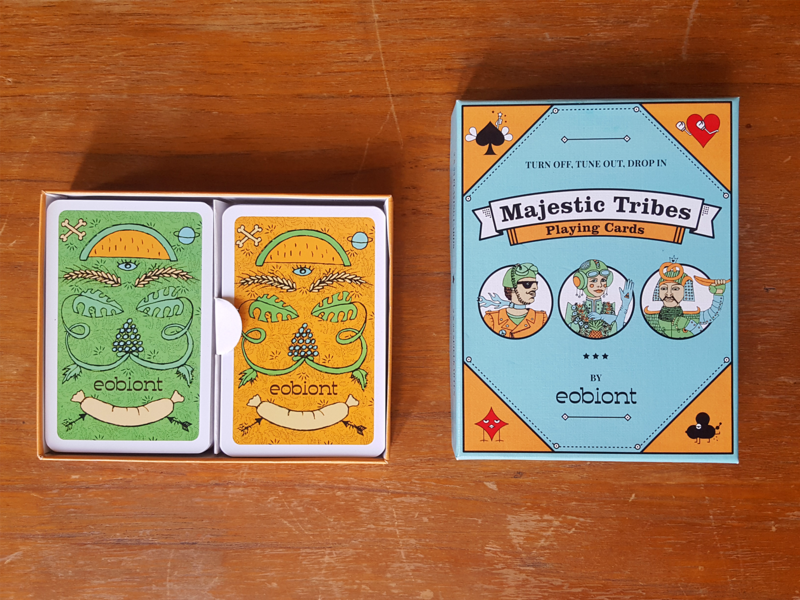 We created two decks of 55 play cards and the packaging as a holiday gift for Eobiont’s friends and clients. 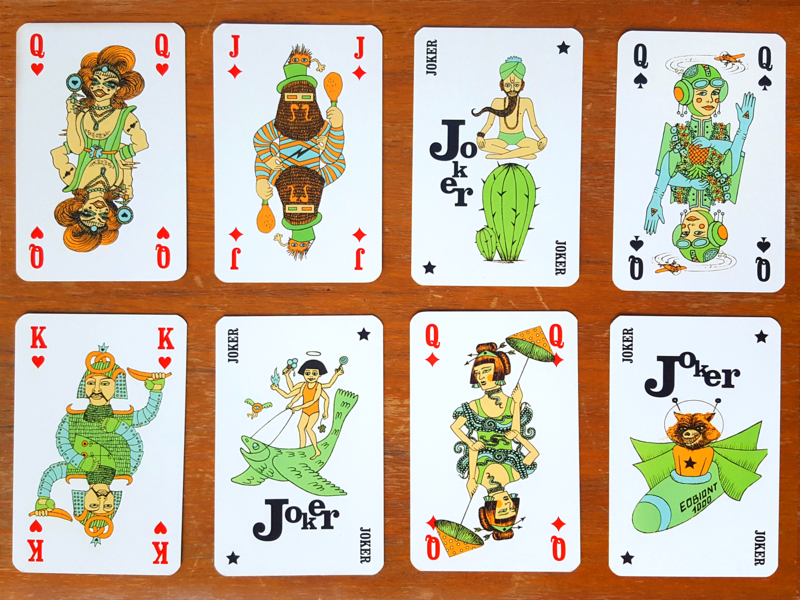 I gave the deck tonality by drawing all the characters on the major arcana, the Jokers and the Aces. 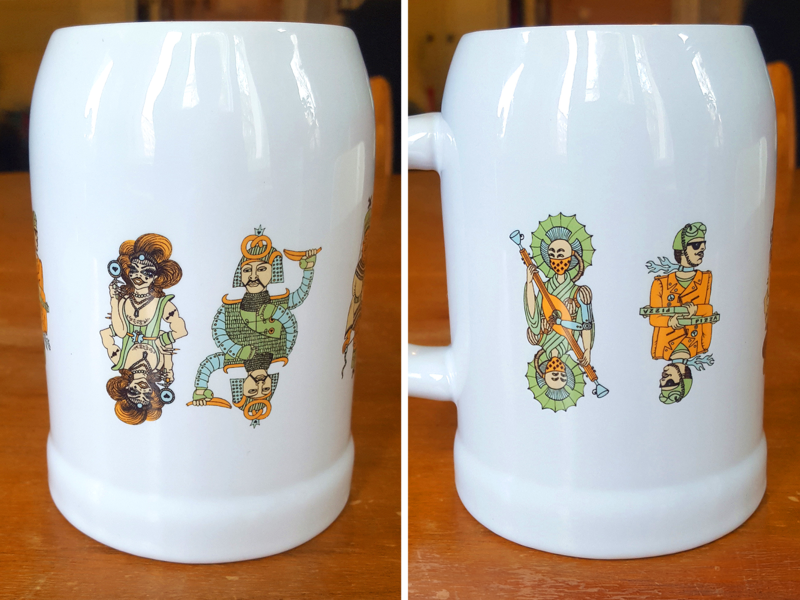 The characters were inspired by real-life heroes and my own dreamland, bringing forth the idea of equality, fun and all the extraordinaire influences that inspire us.